The 2015 International Rally of Whangarei is set to be a spectacular start to the Brian Green Property Group NZ Rally Championship. A revised format featuring nearly all new stages, and a star studded entry list of cars and stars has generated massive interest in the event. Five times National Champion Richard Mason, young chargers Ben Hunt and David Holder, the always spectacular Andrew Hawkeswood, the fastest female Emma Gilmour, Alex Kelseys incredible Mad Creation 2, plus dozens of others not to mention American WRC, Rallycross and Gymkhana Superstar Ken Block headline the entry. It is set to be a major battle on some of NZ’s (if not the worlds) best rally stages. Here is where you can catch the best action. As in previous years, the event gets underway on Friday evening with a Meet the Drivers session followed by the Ceremonial start at Te Matau a Pohe, the spectacular bridge in central Whangarei. Cars will be on display from 4.45pm onwards with a driver signing session and festivities preceding the first car over the start ramp at 6.15pm. Its straight into the action with teams starting the Hella Pohe Island Superstage at 7pm. Crews will complete two passes in reverse seeded order of the 1.25km gravel stage through the William Fraser Memorial Park, the sight and sounds of rallycars running under lights a great spectacle to start the event. 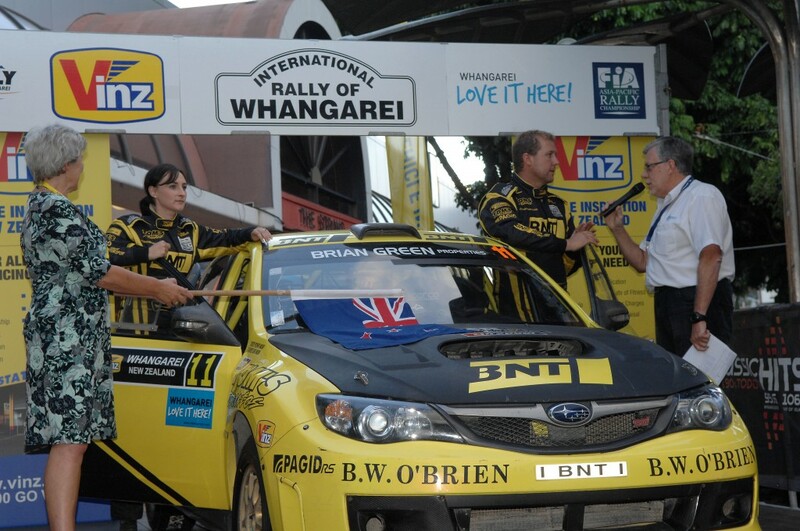 The following day the action gets underway with the first car leaving Whangarei at 6.30am. Cars will head north to contest Stage three Maromaku (16.86km). A new stage for the event, which uses a section of the Pipiwai stage from last year but in reverse. Starts with a fast run to a hairpin at the first junction, followed by a run up and over a hill to the next valley. Tightens a little towards the mid-stage junction and continues like this towards the end. A great start to Saturdays action with plenty of camber. Stage four is the 27.28km Towai test, a stage featured last year as Marlow but now with an additional 10km tacked on to challenge the crews. This stage will be the slowest of the morning loop, and is a challenging stretch of road, changing between flowing fast sections and twisty, narrower sections with plenty of rhythm changes and is arguably the most demanding of the morning loop. Towards the end are a number of great viewing spots at junctions, the best viewing available via Towai Road, off State Highway 1 (first car 8.26am and then again from 1.51pm). Cars can be seen for close to a kilometre winding down the ridge, before a 90 right, crossing railway lines, followed by a hairpin turn. After heading to Kawakawa for a refuel stop, stage five is Tapuhi at 17.22km. Used last year, Tapuhi is a fantastic challenge that starts out on fast, flowing, wide open roads through farmland before a short hillclimb that leads to a junction (watch the trees!) and immediately onto a narrow and twisty road. Great viewing is available at the mid stage junction (take Akerama Rd off SH1 to access), first car 9.49am and then again at 3.14pm. The junction on Ruapekapeka provides great viewing. Photo: Euan Cameron. The final stage of the loop is an all new stage at Helena Bay. Starting from Helena Bay on the North Eastern Coastline, this is a real drivers stage according to the event route plotter. The road follows the coastline before heading inland along a ridgeline and into farmland. A tight junction towards the end of the stage before a fast run to the finish. 14.82km of Northlands best drivers roads. Cars return to the Whangarei Town Basin for a 20 minute service with first car due at 11.37am. The service area is always a great location to see the cars and crews up close. After service the teams head back out to repeat the above loop of stages, 153km’s of special stages completing Saturdays action. An end of day 45 minute service back in Whangarei at the Quayside Basin Service Park ends the day. 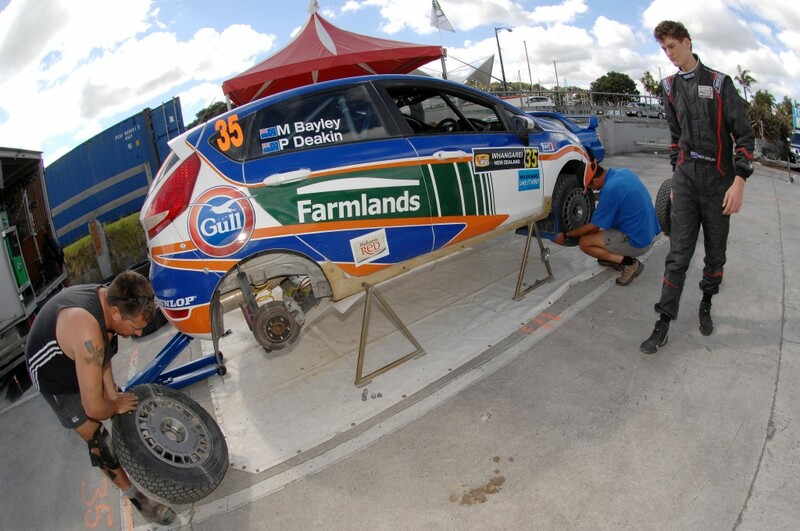 Day two starts from 7am with crews heading south from Whangarei for a further 93km of special stages. The first stage of leg two is Springfield, and also doubles as the NZRC Power Stage, meaning crews will need to be wide awake to collect the bonus points on Sunday morning. Starting on Ormiston road, this is a road typical of the area until an acute left onto Springfield road which is wide and fast tarmac. This road joins onto Mangapai Caves Road, which has been seen in the past as the second half of the Waipu Caves stage, which is perhaps most famous for the final few km over Ruarangi Road, a piece of road that ducks and dives with lots of corners over crests, all along a ridge line with drop-offs. Prime viewing spots are accessible from Ruarangi Rd or Mangapai Caves Rd, off Mangapai Rd. First car at 8.13am and then again at 12.03pm. Stage twelve Waiotira (16.56km) is another all new stage for competitors. Starts fast and heads into a series of long, sweeping corners. The stage is fast in most places and only really punctuated by two series of tighter corners and as is typical of the area, offers up plenty of camber that teams can attack. The third stage in the loop, Otuhi at 18.15km is also another new stage. Mostly fast and flowing, but punctuated with several junctions throughout the stage and also a stretch of tarmac in the middle. There should be great viewing as cars come-off the tarmac back onto the gravel at pace. A 20 minute mid-morning service in Whangarei from 10.29am is followed by a repeat loop of these three stages. The survivors will then tour back to Whangarei for final service, the Ceremonial Finish and podium presentations will take place at the Quayside Town Basin from 3pm. Further information including detailed spectator maps and itinerary can be accessed from the spectators section of the Rally Whangarei website. 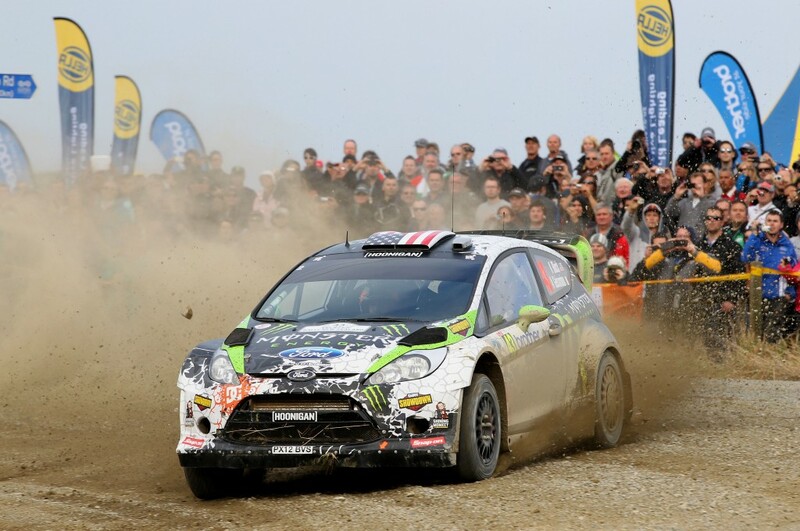 The event is also the opening round of the 2015 FIA Asia Pacific Rally Championship. A copy of the event guide can also be collected from Rally Headquarters, Cnr Dent Street and Quayside Way, Whangarei from Wednesday 15 April until Sunday 19 April 2015. It will also be found in the rally insert to be published in the Northern Advocate on Wednesday 15th April. Remember to always listen to the safety marshals instructions, and stand in areas directed for spectating. Enjoy the rally!